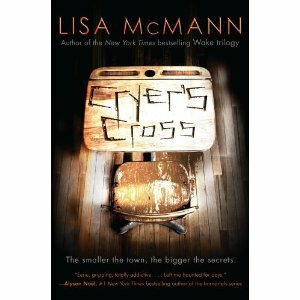 "The tiny town of Cryer’s Cross is shocked when a local schoolgirl disappears without a trace. Already off-balance due to her OCD, sixteen-year-old Kendall is freaked out by seeing the empty desk in the one-room school house, but somehow life goes on… until Kendall's boyfriend disappears. Alone in her depression and with her OCD at an all-time high, Kendall notices something that connects the missing. She knows it's crazy, but Kendall finds herself drawn to the desk that they both sat at… Then she begins receiving messages. Can her boyfriend be alive somewhere? How can Kendall help him? The only person who will listen is Jacian, the new guy she finds irritating…and attractive. As Kendall and Jacian grow closer, Kendall digs deeper into the mysterious disappearances only to stumble upon some ugly – and deadly – local history. Kendall is about to find out just how far people will go to keep their secrets buried…"
I was given this a while ago by Jenny & really fancied having a quick read, so this was my book of choice. 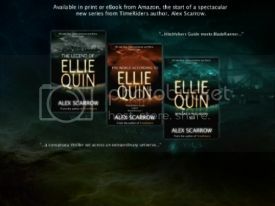 I really love the US cover. Its quite unusual & haunting looking. I've always had a little fascination with the old style school tables, even more so now after reading this!! The UK cover & title are both great too. I'm not always that happy with seeing peoples faces on covers, but this does kind of work. Will be great to see a real copy! 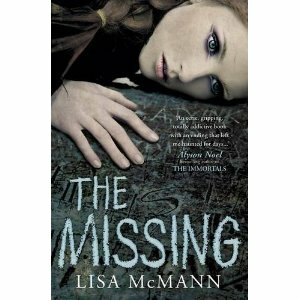 Anyone that has read any of Lisa McMann's books will know she writes in 3rd person - its a really unusual style to read & initially I always think I'm not going to like it, but honestly after no time I adjusted & read like I would any other book. I found it quite interesting to read of a person with OCD. I don't feel this is one of the most commonly talked about mental conditions & that is a shame. When things are discussed they are so much more understandable & it breaks away all pre-conceptions. I think Lisa did a great job using this & I really hope more of this kind of thing can be Incorporated into books, as these conditions are getting more and more common. After 100 pages I was still unsure of where the book was going. I didn't know if it was going to go sinister or paranormal. This was both enthralling & a little frustrating, I wanted to know what was going down!! The end was well rounded with just a small lingering question at the end. In some ways I do hope this is a standalone book, as I'd like my mind to create a bizarre end. That said if a sequel was made, I'd be there to buy it!! This was a good, quick read. It was a great in between book for me to devour!! Ooooh yay, its silly to be happy about not having a series of books right, but sometimes I think a single book can work just as well! !